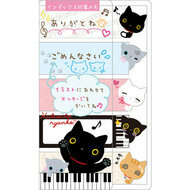 A beautiful sheet with clear seal stickers with the adorable Kutusita Nyanko characters. 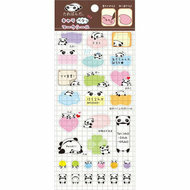 Pre-cut self-adhesive stamp stickers. 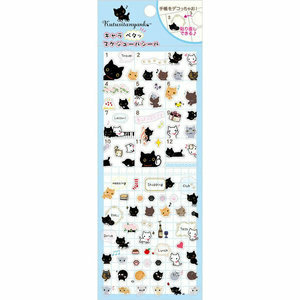 You can use these for a variety of purposes like decorating your filofax, diary or calender. Just cut, peel and stick!